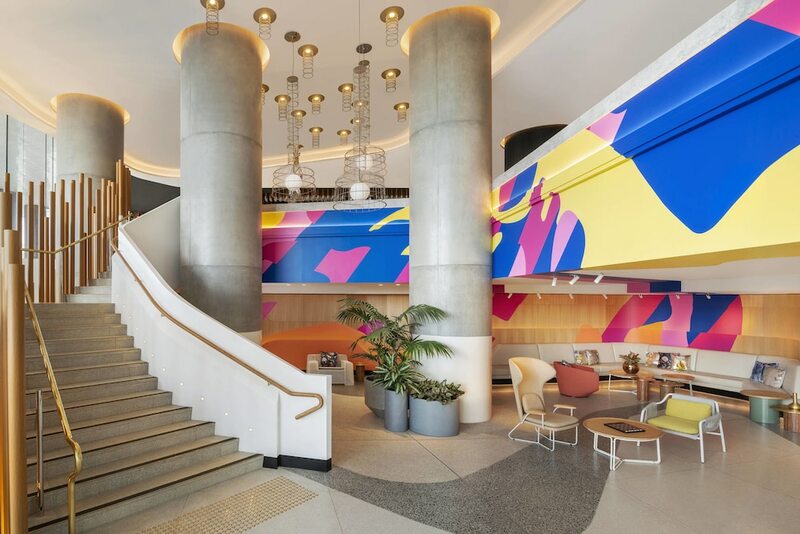 With a stay at W Brisbane, you'll be centrally located in Brisbane, a 6-minute walk from Queen Street Mall and 12 minutes by foot from Gallery of Modern Art. This 5-star hotel is 1.4 mi (2.2 km) from Suncorp Stadium and 2.2 mi (3.5 km) from Brisbane Convention and Exhibition Centre. Make yourself at home in one of the 312 air-conditioned rooms featuring minibars and LED televisions. Complimentary wireless Internet access keeps you connected, and satellite programming is available for your entertainment. Private bathrooms with separate bathtubs and showers feature rainfall showerheads and designer toiletries. Conveniences include phones, as well as safes and desks. Relax at the full-service spa, where you can enjoy massages and facials. If you're looking for recreational opportunities, you'll find a 24-hour health club and an outdoor pool. Additional amenities at this hotel include complimentary wireless Internet access, concierge services, and a hair salon. Enjoy a meal at Three Blue Ducks, or stay in and take advantage of the hotel's 24-hour room service. Unwind at the end of the day with a drink at the bar/lounge or the poolside bar. Full breakfasts are available daily from 6:30 AM to 10:30 AM for a fee. Featured amenities include complimentary wired Internet access, a business center, and dry cleaning/laundry services. Planning an event in Brisbane? This hotel has facilities measuring 11840 square feet (1100 square meters), including conference space.